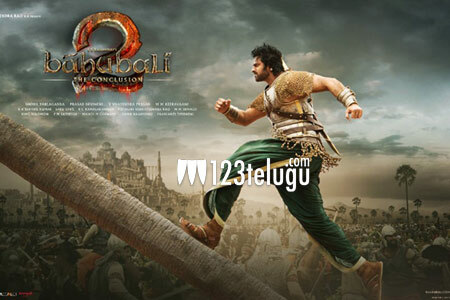 Baahubali 2 is gearing up for a massive release this Friday and the latest update reveals that the Vizag region rights of the film were sold for a whopping 15 crores. As the first part of the film became such a huge hit, the demand for these rights became even bigger and distributors had to shell out the above-said amounts for these rights. Vizag has always been a lucrative area for films and trade pundits are expecting some huge amounts of profit for these distributors. Directed by Rajamouli, the magnum opus has been made on a budget of over 450 crores. Keervani scores music and Arka Media is the production house.